I was excited to receive several fabulous decor books for review recently, the first of which is Hers, by Jaqueline deMontravel. I knew right away that I was going to love this book just from perusing all the inspiring photos. 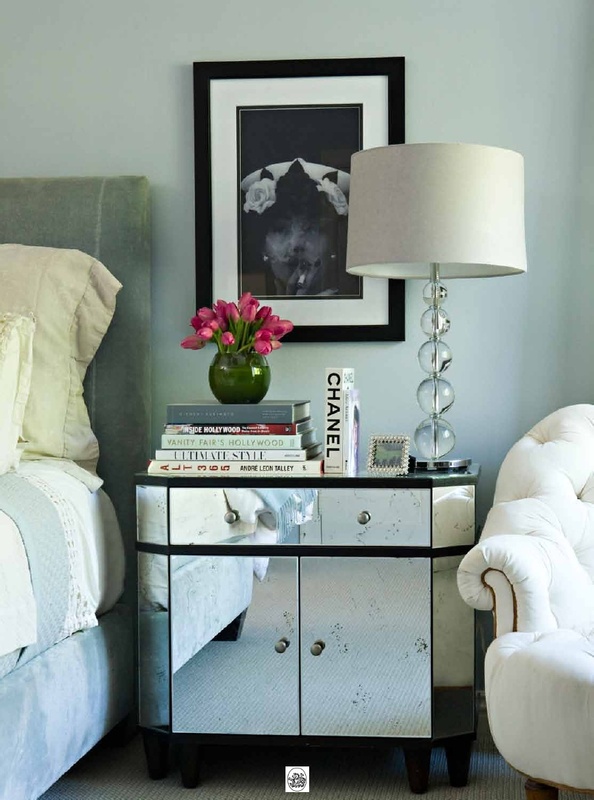 The image above is my favorite, because it clearly illustrates how adding just a few feminine touches to a space (like your bedside table) can make a room feel more inviting and glamorous. 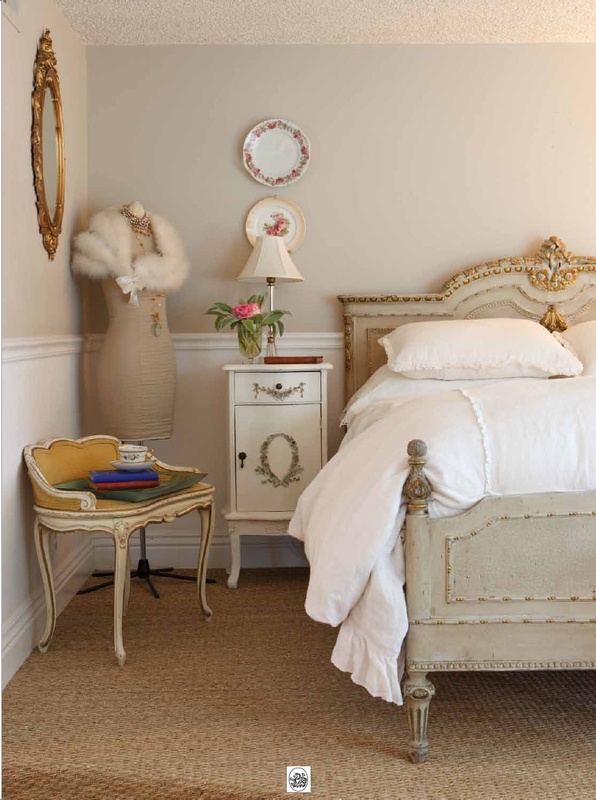 The author’s goal, to help readers incorporate their own personal touches throughout their home and get in touch with their own “unabashedly feminine style” is laid out in beautiful detail. Lest you think this book is all “chintz and frills”, I can assure you it’s not. 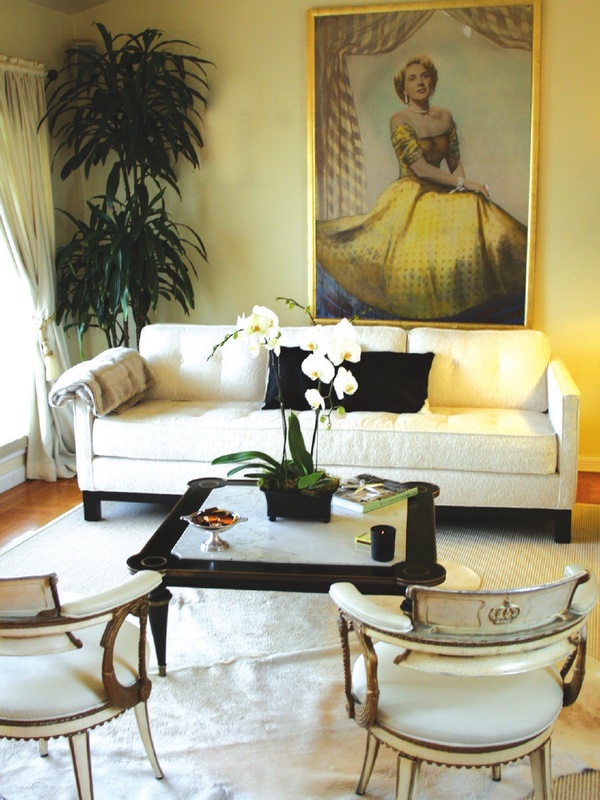 Also included are several modern approaches and stylish twists on feminine decor. 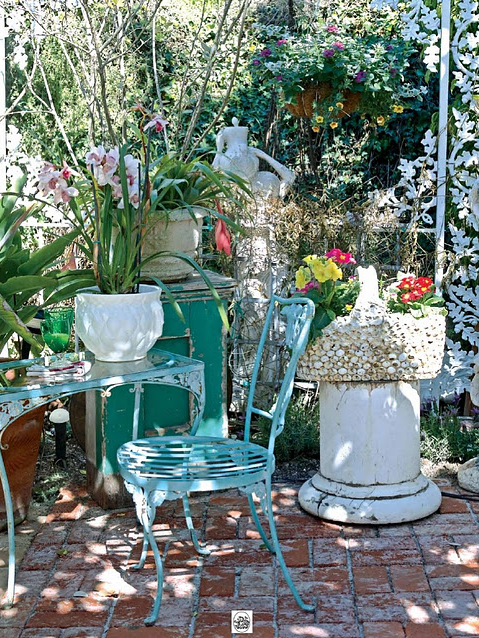 Chock full of innovative ideas on decorating, entertaining and collecting, I highly recommend Hers. Sounds like a good books and stunning interior photos!! I hope you have an absolutely wonderful Wednesday! I always love checking your blog 🙂 Toodles! I think I need this book! Maybe Santa will bring it for me. Thanks for the tip! 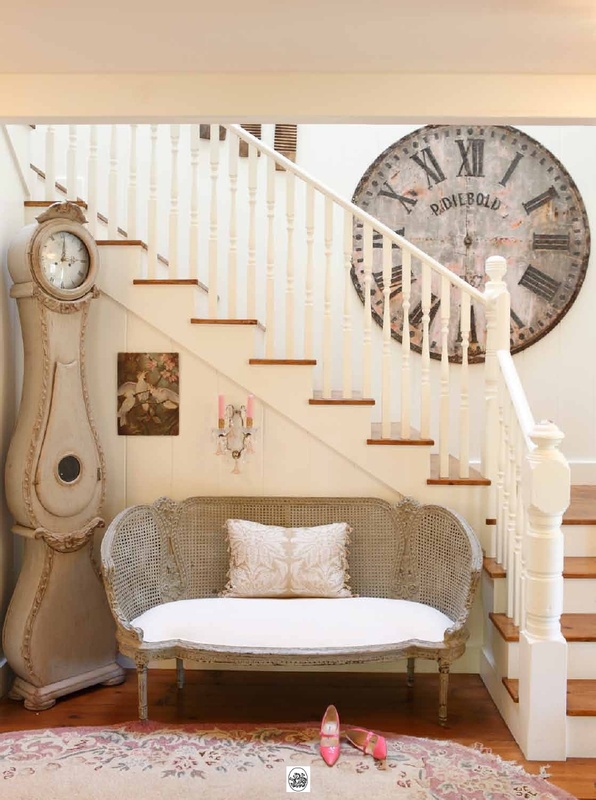 That huge clock is amazing! Sue I need you to redecorate my house! I was in Z Gallerie yesterday with Danielle and thought it's time to throw everything out and start all over! I love the name and I love that it celebrates being a woman. Lovely! Another book going on my wish list! Love the name of it..Hers! i Love it too! the spaces are exquisite!